With bronze construction and a stainless steel strainer basket, the C Series pump is perfect for the toughest indoor or outdoor projects. 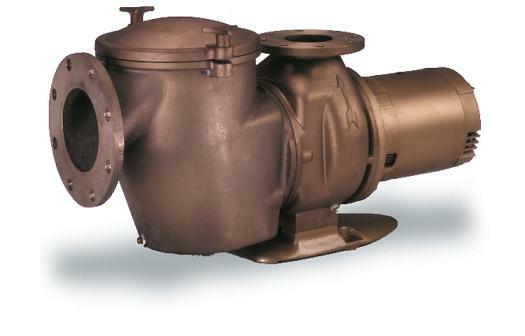 This pump’s lasting efficiency, quiet operation, easy maintenance and durability has set the standard for medium- and high-head performance in the pool industry for many years. Available with and without a hair and lint strainer. Close coupled for quiet, stable flow. Heavy-gauge stainless steel strainer basket, with open area five times the area of the suction port. 6-inch suction and 4-inch discharge for maximum efficiency with strainer. Closed impeller for longer motor bearing life. Heat-resistant seal for operation up to 150° F.
Available in single- and three-phase 50 and 60 Hz models.